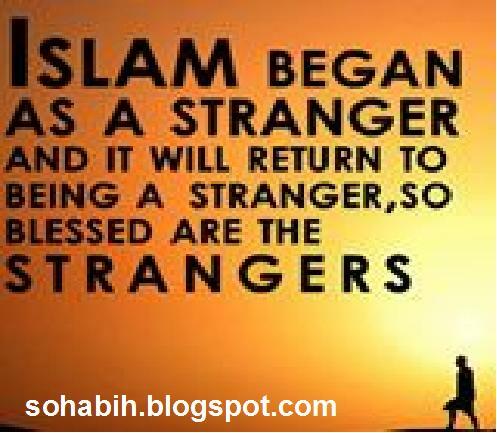 "Every Muslim likes to know and he must know about the members of the family of Nabi SAW. Therefore, a short account of their lives is given in the following pages. 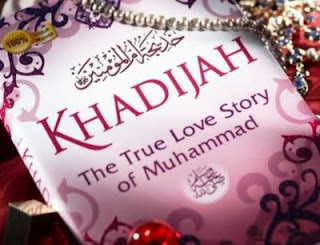 The Muhadithin and historians all agree that eleven ladies had the honour of being the wives of Nabi SAW"
Saidina Khadijah RA was the first among them. 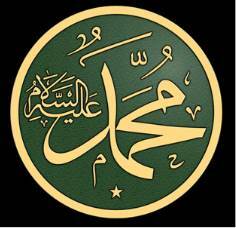 At the time of her marriage, she was 40 years old and Nabi SAW was twenty- five. She gave birth to all his children, except a son Ibrahim. She was first supposed to be married to Waraqah bin Naufal, but this marriage could not take place. Her first husband was Atiq bin Aa'iz. She had a daughter from him, whose name was Hind. Hind grew up, embraced Islam and had many children. On the death of Atiq, Khadijah RA was married to Abu Halah and got two children from him viz. Hind and Halah. Hind lived up to the time of Ali's Caliphate. On the death of Abu Halah, Nabi RA married Khadijah RA as his first wife. She died in Ramadhan of the 10th year of the prophethood at the age of sixty-five. He loved her very much and did not marry any other woman during her lifetime. 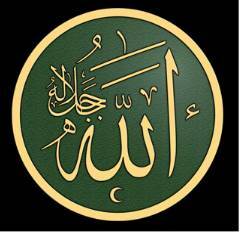 Even before Islam, she was popularly called Tahirah (Clean and pure). Her children from other husbands are therefore known as Banu Tahirah. Her virtues and privileges have been mentioned extensively in the Ahaadith. Nabi SAW laid her in the grave with his own hands. Till then, there was no janazah solah. Sauda bint Zam'ah bin Qais RA was previously married to her cousin Sukran bin ‘Amr . The couple embraced Islam and shifted to Abysinnia. Sukran died in Abyssinia. Saudah RA, now a widow, returned to Makkah Mukarramah. Nabi SAW, on the death of Khadijah RA (in Shawwal of the same year), married Saudah RA. We know the devotion of Nabi SAW in his solah. Saudah RA once stood behind him in Tahajjud. The next day she said to him: "O, Nabi of Allah! Last night you took so long in your Ruk'u that I feared bleeding from my nose." (As she was heavy, the strain might have been too much for her). Nabi SAW once intended to divorce her. Meanwhile Aishah RA had also been married to Nabi SAW. Saudah RA said:"O, Nabi of Allah! I am ready to give up my turn (with you) in favour of A`ishah RA, but I don't like to be divorced by you. I wish to be one of your wives in Jannat." Nabi SAW agreed to this suggestion. She died in about 55 A.H. towards the end of the Khilafat of Umar RA . There was another Quraish woman of the same name. She was also a widow having about six children. Nabi offered to marry her, but she said: "O, Nabi of Allah! You are dearer to me than any other person in this world. I do not like my children to be of any trouble to you." He appreciated this and withdrew the offer. A`ishah RA was married to Nabi SAW in Shawwal of the 10th year of Nubuwwat. She was born in the 4th year of Nubuwwat and was married when she was six, but was actually sent by her parents to live with Nabi SAW, after his shifting to Madinah Munawwarah, when she was nine. She was eighteen at the time of the death of Nabi SAW. She died on the night of Tuesday, the 17th Ramadhaan, 57 A.H., at the age of sixty-six. She desired at the time of her death that she might be buried along with other Ummahat-ul-Mukminin, in the public graveyard, though she could be buried by the side of Nabi's SAW grave, which was in her house. 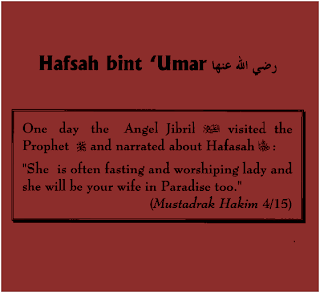 She was the only wife of Nabi SAW who had not been married previously. All the remaining wives had either been widowed or divorced, some quite a few times, before they became Ummuhat-ul- Mkminin. To be married in Shawwal was considered a bad omen among the Arab women. A`ishah RA says: "I was married and sent to live with Nabi SAW in Shawwal. Which of Nabi SAW wives has been more blessed with his love and Allah's other favours than me?" On the death of Khadijah RA, Khaulah bint Hakim RA came to Nabi SAW and said: "O, Nabi of Allah! Don't you like to marry again?" Nabi SAW: "Whom can I marry?" Khaulah: "I know one virgin and one widow." Khaulah: "The virgin is A`ishah, (the daughter of your bosom friend Abu Bakr and the widow is Saudah bint Zam'ah." Nabi SAW: "All right! You may make the proposal." come with good news for your family." Ummi Ruman RA : "What is that?" Khaulah RA : "Nabi SAW has sent me to seek A`ishah’s RA hand in marriage for him"
UmmI Ruman RA: "But A`ishah is like his niece. How can she be married to him? Let me talk to her father." Abu Bakr was not at home at that time. When he came, the proposal was placed before him, and he expressed the same difficulty. Khaulah RA returned to Nabi SAW and informed him of their difficulty. don't you have your wife A`ishah RA living with you?" He said: "I have to make some preparations, etc., before I do that." Abu Bakr presented him with some money, with which necessary things were arranged. A`ishah RA then started living with Nabi SAW from Shawwal of 1 or 2 A.H. She shared the bed with Nabi SAW for the first time in Abu Bakr’s house. These are the three marriages of Nabi SAW before Hijrah. All the remaining wives were taken by him in Madinah Munawwarah. Hafsah RA, the daughter of Saidina Umar RA, was born in Makkah Mukarramah five years before Nubuwwat. She was first married to Khunais bin Huzaifah RA , who was one of the very early Muslims. He first emigrated to Abyssinia and then to Madinah Munawwarah. He participated in the battle of Badr, and was seriously wounded in Badr (or in Uhud) and died of the wound in the year 1 or 2 A.H. Hafsah RA had also moved to Madinah Munawwarah with her husband. When her husband died, Saidina Umar RA went to Saidina Abu Bakr RA and said: "I want to give Hafsah in marriage to you." Abu Bakr RA kept quiet and said nothing. Meanwhile Ruqayyah RA, the daughter of Nabi SAW and the wife of Saidina Uthmaan RA died. Saidina Umar RA went to Saidina Uthmaan RA and offered Hafsah’s RA hand to him. He refused by saying, "I don’t have the need to marry presently." Umar complained of this to Nabi SAW. Nabi SAW said: "Can I tell you of a husband for Hafsah better than 'Uthmaan, and of a wife for 'Uthmaan better than Hafsah." He then took Hafsah RA as his next wife, and gave his own daughter Umme Kulsum RA in marriage to ‘Uthmaan RA. Saidina Abu Bakr RA later said to 'Saidina Umar RA : "When you offered Hafsah's hand to me, I kept quiet as Nabi SAW had informed me of his intention of marrying her. I could neither accept your offer nor reveal Nabi's SAW secret to you. I, therefore, kept quiet. If Nabi SAW had changed his mind, I would have gladly married her." Saidina Umar RA says: "Abu Bakr's silence over the offer was in fact more shocking to me than Uthmaan's refusal." Hafsah RA was a very pious woman who devoted herself to Solah. She would often fast during the day and spend the night in Ibaadat. Once Nabi SAW was displeased with Hafsah RA for some reason and said the first divorce to her. Saidina Umar RA was naturally very much shocked over this. Jibraeel came to Nabi SAW and said: "Allah wants you to take Hafsah back, as she is often fasting and spending her nights in Solah, and also Allah wants it for Saidina Umar's sake." Nabi SAW therefore took her back. She died in Jumadil Uula, 45 A.H., at the age of 63. Zainab RA was the next lady to be married to Nabi SAW. There are different reports about her earlier husbands. According to one report, she was first married to Abdullah bin Jahsh RA who was killed in Uhud, as we have already seen in his story earlier. According to another report, she was first married to Tufail ibnul al Harith and when he divorced her she married his brother Ubaidah ibnul Harith, who was killed in Badr. Nabi SAW married her in Ramadhaan, 3 A.H. She lived with Nabi SAW for eight months only, as she died in Rabi-ul-Akhir, 4 A.H. Zainab RA and Khadijah RA are the two wives of Nabi SAW who died during his lifetime. All the other wives lived on after him and died later. 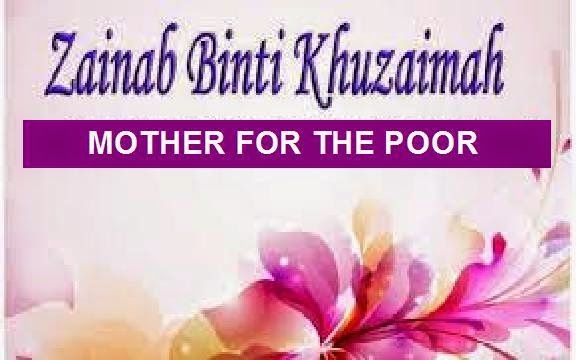 Zainab x spent very generously on the poor, and was known as 'Ummul Masakin' (mother of thepoor) even before Islam. 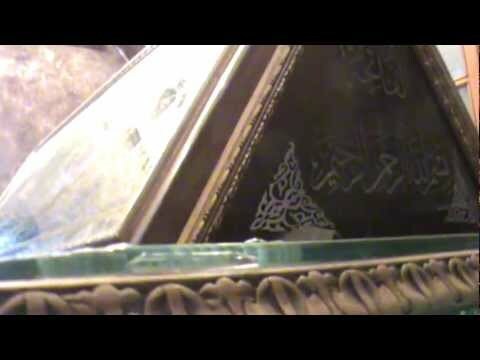 After her death, Nabi SAW married Ummi Salamah RA.Ummu Salamah RA. Ummi Salamah RA was the daughter of Abu Umayyah. She was first married to her cousin Abdullah bin Abdul Asad known as Abu Salamah . The couple accepted Islam in the beginning and because of being troubled by the Quraish, they shifted to Abyssinia. A son who was born to them in Abyssinia, was named Salamah. After returning from Abyssinia, the family moved to Madinah Munawwarah. Ummi Salamah's RA story about her journey to Madinah Munawwarah has already been given in the early part of this blog. After reaching Madinah Munawwarah, Hadhrat Umme Salamah RA had another son ‘Umar and two daughters, Durrah and Zainab RA. Abu Salamah was the eleventh man to accept Islam. He participated in both the battle of Badr as well as in Uhud. He got a very bad wound in Uhud, which did not heal for a long time. He was sent by Nabi SAW on a journey in Safar, 4 A.H. When he returned from the trip, the old wound started giving trouble and he died because of it on 8th Jumadil-Akhir, 4 A.H. Umme Salamah RA was expecting a child at that time. Zainab was born to her after the death of her husband. After she had completed her Iddat (the waiting period), Abu Bakr proposed to marry her, but she refused. Later, Nabi SAW offered to marry her. She said: "O, Nabi of Allah! I have quite a few children with me and I am very sensitive by nature. Moreover, all my people are in Makkah Mukarramah, and their permission for getting remarried is necessary." Nabi SAW said: "Allah will look after your children and your sensitiveness will disappear shortly. None of your people will dislike the marriage.” She then asked her eldest son Salamah to be her guardian and give her in marriage to Nabi SAW. She was married in the end of Shawwal, 4 A.H. She says: "I had heard from Nabi SAW that a person struck with a tragedy should recite this prayer, then Allah would accept his prayer. I had been reciting this prayer since the death of Abu Salamah RA , but I could not imagine a husband better than him, until Allah fixed my marriage with Nabi SAW." A`ishah RA says: "Umme Salamah RA was famous for her beauty. Once I made a plan to see her. I found her much more beautiful than I had heard. I mentioned this to Hafsah who said. "In my opinion, she is not as beautiful as people say." She was the last of the wives of Nabi SAW to die. It was in 59 or 62 A.H. She was 84 at the time of her death. She was born 9 years before Nubuwwat. Nabi SAW married her after the death of Zainab bint Khuzaimah RA. She therefore lived in Zainab’s RA house. She found a hand-mill, a kettle and some barley in an earthen jar, lying in the house. She milled some barley and after adding some fat cooked a meal, which she served to Nabi SAW on the very first day of her marriage with him. received the good news about this revelation. Nabi SAW arranged a big feast (Walimah) for this marriage. A goat was slaughtered and mutton curry with bread was served to the guests. People came in groups, and were served till all of them were fed. Zainab RA was very generous in spending in the path of Allah . She earned by working with her hands and spent all her wealth in charity. It was about her that Nabi SAW had said: "My wife with long hands will be the first to meet me after my death." The wives took this to mean the actual length of their arms and began to measure their arms with a stick. When measured, the arm of Saudah RA was the longest. But when Zainab RA died first, they understood the true meaning of “long arms” (i.e the most generous). She fasted very often. She died in 20 A.H. 'Umar RA led the Janazah Solah. She was fifty at the time of her death. Juwairiah RA was the daughter of Harith, the chief of Banu Mustaliq and was married to Musafi bin Safwan. She was one of the many prisoners who were captured by the Muslims after the battle of Muraisee'. She was given to Thabit bin Qais . He offered to release her for 360 Dirhams. She came to Nabi SAW and said: "O, Nabi of Allah! I am the daughter of Harith, who is the chief of the tribe; you know what difficulty has come to me. The ransom demanded by Thabit is too much for me. I have come to seek your help in the matter." Nabi SAW agreed to pay her ransom, set her free, and offered to take her as his wife. She was very glad to accept this offer. She was married to Nabi SAW in 5 A.H. and as a result of this marriage, the prisoners of Banu Mustaliq (Juwairiah's ( tribe) numbering about a hundred families, were all set free by the Muslims. They said, "The tribe which was honoured by Nabi's SAW marriage should not remain as slaves." Juwairiah SAW was very beautiful and attractive. Three days before she became a prisoner in the battle, she had seen in a dream that the moon coming out from Madinah Munawwarah and fell into her lap. She says: "When I was captured, I began to hope that my dream would come true." She was 20 at the time of her marriage with Nabi SAW. She died in Rabi-ul-Awwal, 50 A.H., in Madinah Munawwarah at the age of 65. She was the daughter of Abu Sufyan, and was first married to Ubaidullah bin Jahsh in Makkah Mukarramah. The couple accepted Islam, and then moved to Abyssinia due to the harassment of the Quraish. One night, in a dream, she saw her husband in the most ugly and horrible form. The next day she came to know that he had turned Christian. She, however, remained a Muslim and was therefore separated from him. She was now all alone in Abyssinia. Allah soon rewarded for her loss. Nabi SAW sent her an offer of marriage through the King Negus, who sent a woman named Abrahah to her with the message. She was so happy with the good news that she gave the bracelets and other jewellery that she was wearing to the woman in delight. King Negus represented Nabi SAW in the Nikah ceremony and gave her 400 dinars as dowry and many other gifts. He also gave a feast and dinars as gifts to all those who were present in the ceremony. Negus then sent her to Madinah Munawwarah with her dowry and other gifts suchas perfume, etc. This marriage took place in 7 A.H. Her father was not a Muslim then. She most probably died in 44 A.H.
She was the daughter of Huyay, who was from the family of Harun, the brother of Musa. She was first married to Salam bin Mishkam and then to Kinanah bin Abi Huqaiq at the time of Khaibar. Kinanah was killed in the battle and she was captured by the Muslims. Dahya Kalbi requested for a maid, and Nabi SAW gave her to him. At this, the other Sahabah approached Nabi SAW and said: "O, Nabi of Allah! Banu Nazir and Banu Quraizah (the Jewish tribes of Madinah Munawwarah) will feel offended to see the daughter of a Jewish chief working as a maid. We therefore suggest that she may be taken as your own wife." Nabi SAW paid a reasonable sum of money to Dahya as ransom, and said to Safiyyah RA: "You are now free; if you like, you can go back to your tribe or if you wish you can be my wife." She said: "I wanted to be with you while I was a Jew. How can I leave you now, when I am a Muslim?" "Let everybody bring whatever he has got to eat." They brought their own dates, cheese, butter, etc. A long leather cloth was spread and all sat around it to share the food amongst them. This was the Walimah for the marriage. She died in Ramadhaan, 50 A.H., when she was about 60 years old. (11) Maimunah RA - The most pious among them all. Maqam Saidina Maimunah RA in Makkah Mukarramah. Maimoonah RA was the daughter of Harith bin Hazan. Her original name was Barrah, but she was later renamed Maimunah by Nabi SAW. She was first married to Abu Rahm bin Abdul Uzza. According to some reports, she was married twice before she became Ummul Mukminin. She had been widowed when Nabi SAW married her at Saraf, a place lying on his journey to Makkah Mukarramah for 'Umrah in Zul Qa'dah 7 A.H. He had intended to start living with her when in Makkah Mukarramah after performing 'Umrah, but because the Quraish did not allow him to enter Makkah Mukarramah, he called her over to him in the same place on his return journey. journey she dies and is buried. 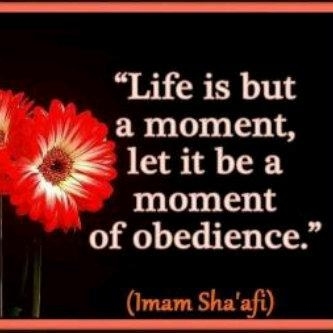 A`ishah RA says: "Maimunah was the most pious, and the most mindful of her family relations, among Nabi's SAW wives." Muhaddithin have, however, mentioned one or two other marriages of Nabi SAW.